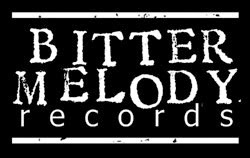 Bitter Melody Records is somewhat more legit now with a domain name and everything. I have about 70 copies left of Most Precious Blood's Merciless on white vinyl and a few distro'd records too. The link is in the store tab above. I've got news coming on THREE releases very soon. I'll spill the beans as soon as they are at the plant. I don't do long drawn out preorders where you have to buy something before I have it in hand. I do my best to do quality releases while keeping them affordable.